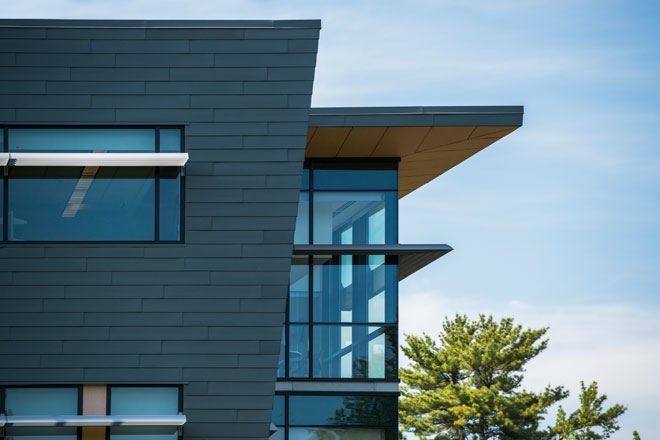 Every two years, AIA Maine, the state chapter of the American Institute of Architects, honors the exceptional work that architects are doing in Maine. 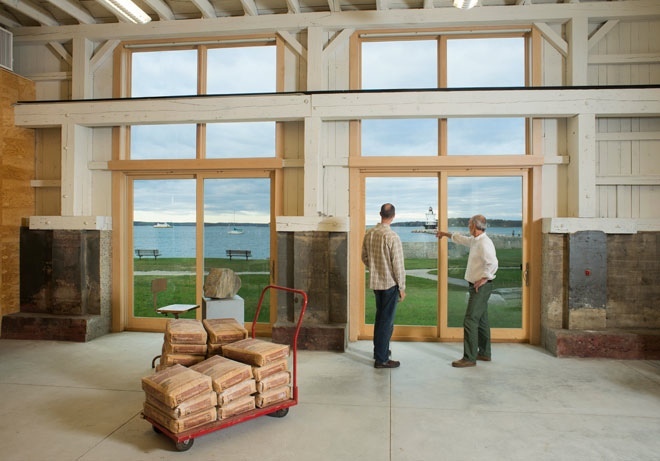 The biennial Design Awards program begins when the awards committee searches for a jury of celebrated peers who know the unique geography and history of Maine and are well suited to judge Maine designers and their projects fairly. 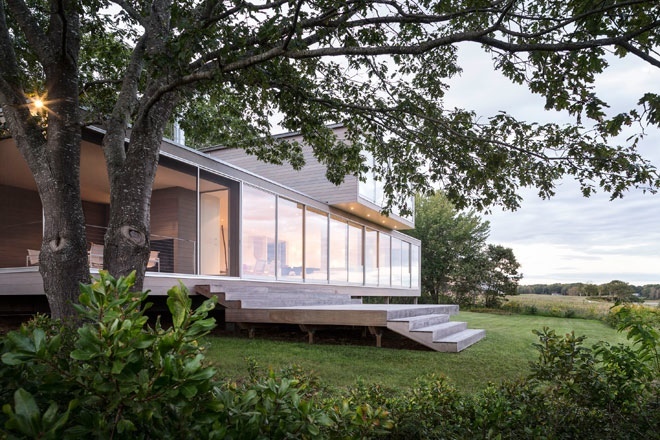 This year, the committee looked past Maine’s northern border to Montreal for its first international jury. 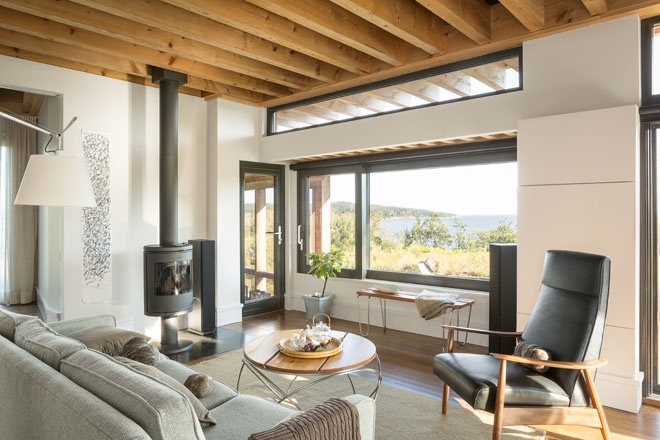 Jesse Thompson of Kaplan Thompson Architects was this year’s Design Awards committee chair, the chief organizer who works with a committee of AIA volunteers to pull together fundraising, wrangle the awards submission software, and lead the design of a gala honoring winners. With this year’s gala held at the historic Bates Mill in Lewiston, having the jury convene in Montreal was “a way to highlight the Franco-American heritage for which Lewiston is famous,” says Thompson. 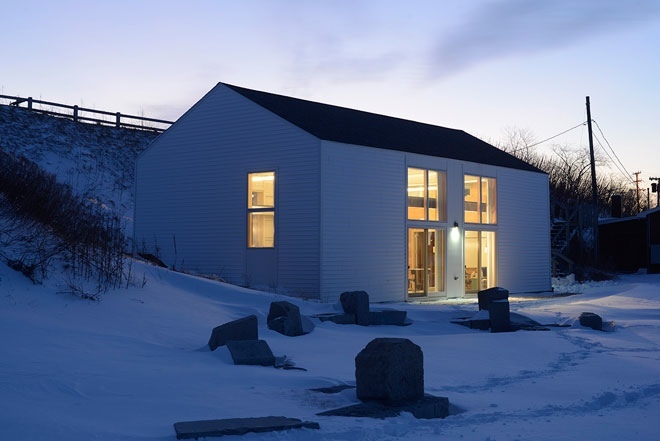 Paul Lewandowski of SMRT was instrumental in helping collect the members of the jury, searching his address book for designers who might have a strong knowledge of Maine and its architecture. The jury of five was chaired by Director of McGill University School of Architecture Annmarie Adams and included André Perrotte from Saucier-Perrotte Architectes, Pierre Thibault from Atelier Pierre Thibault Architecte, Claude Provencher from Roy et Associés Architectes, and Paul Bernier from Paul Bernier Architecte. 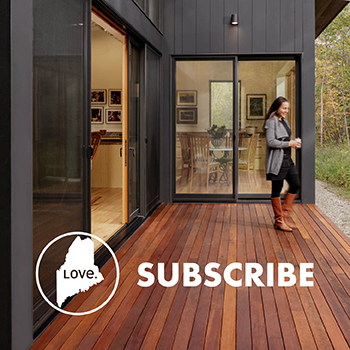 Maine Home+Design is honored to present the winners of the 2014 AIA Maine Design Awards. 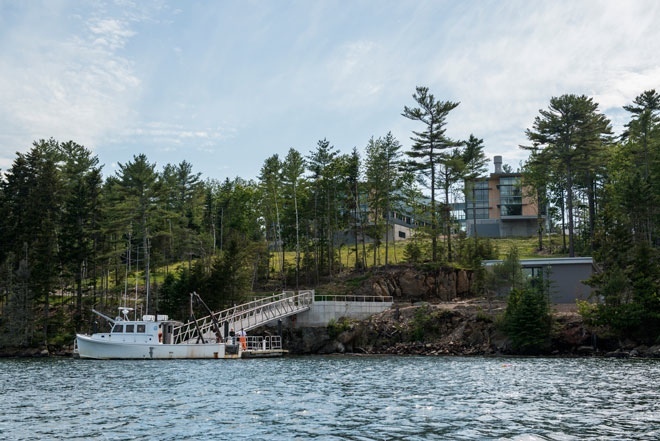 Bigelow Laboratory’s mission is to understand the processes that are driving evolution and change in the world’s ocean ecosystems—including the interrelationships between ocean organisms and climate change. 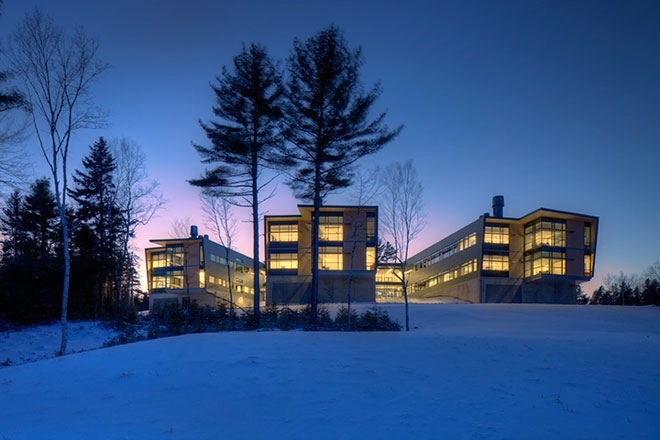 In planning the new Ocean Science and Education Campus, WBRC Architects Engineers worked closely with the Laboratory to develop the program and conceptual design and costing materials. 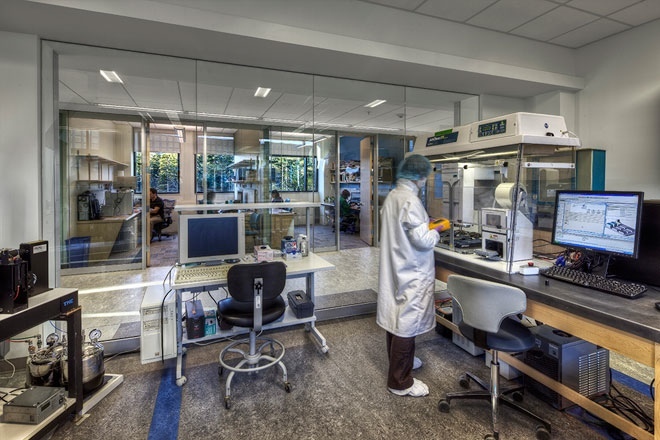 The design includes three laboratory wings that house scientists and laboratories specific to one or more areas of research. 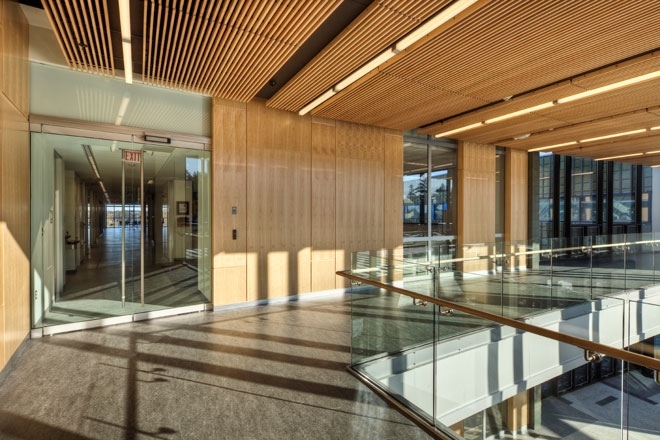 The arrangement of the offices, the meeting spaces, and special “collaboration porches” overlooking the ocean are designed to promote interaction and enhance interdisciplinary collaborations. 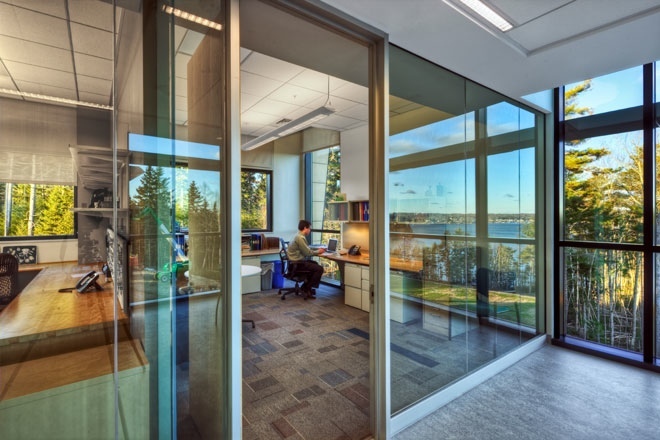 The laboratory wings connect to a shared “Commons” that provides casual meeting space and strengthens connectivity between the three wings and among all researchers. 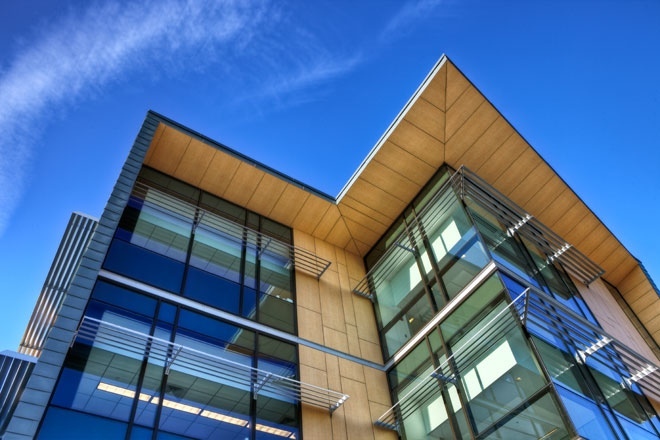 In future phases, this Commons will be extended to connect to future research wings and to a main entry and Education and Administration Center. 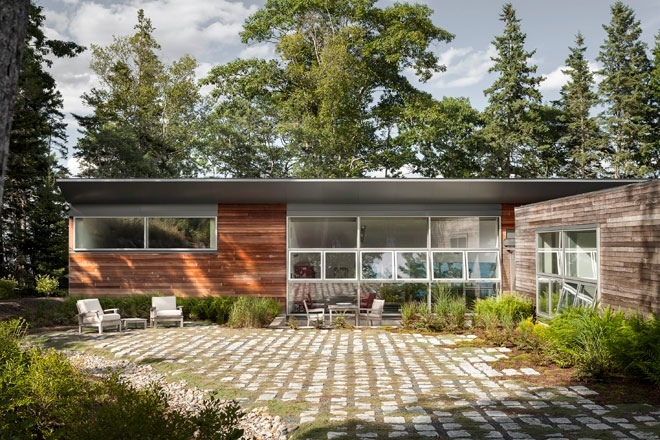 The palette of colors, materials, and site location were chosen to complement the coastal surroundings. 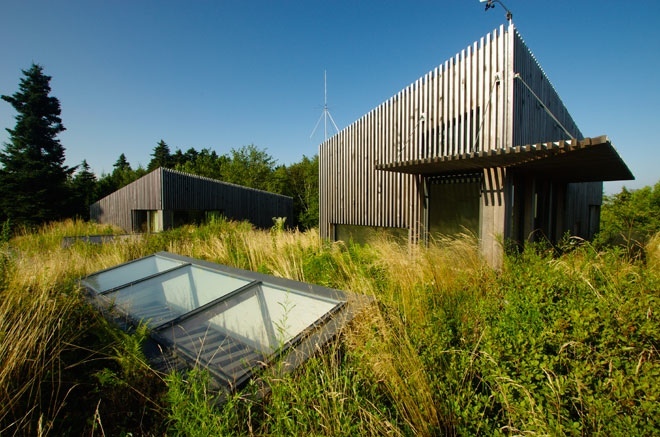 The three buildings designed along a hillside allow researchers to have a constant visual connection to the forest and ocean. 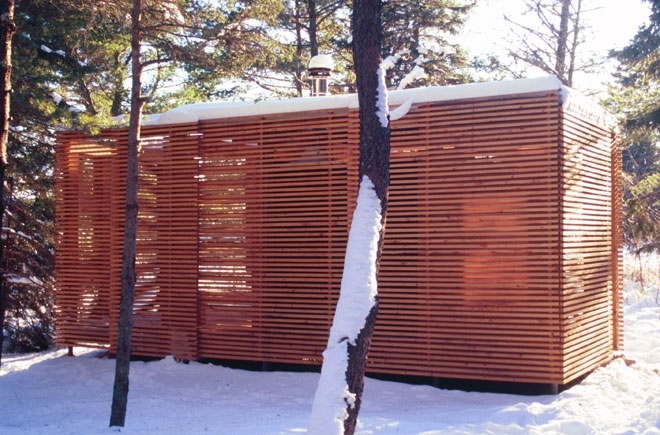 The project also demonstrates the region’s sensitivity and commitment to the environment. Fronting Smith Cove is a secluded deep-water anchorage ideal for boating and kayaking. 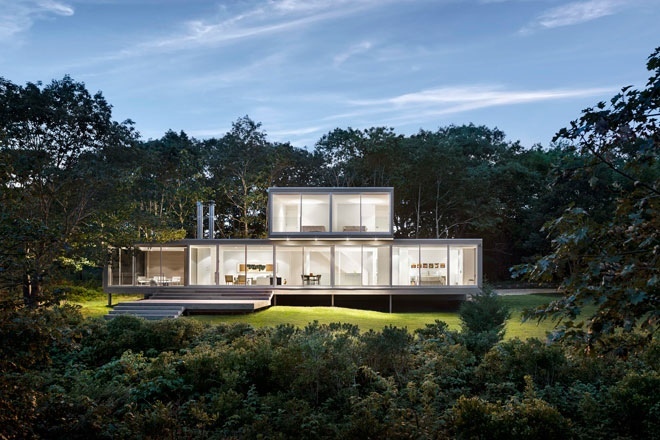 The densely wooded site slopes gently towards the water and is interspersed with ledge outcroppings and filtered ocean views. 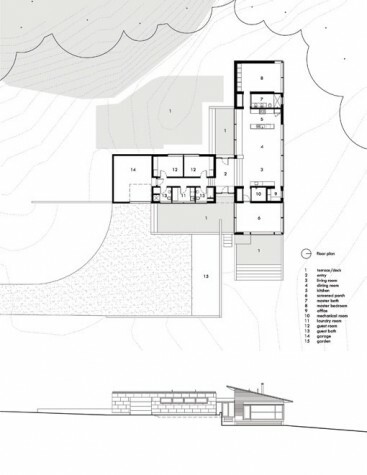 Elliott and Elliott Architecture designed a contemporary, low-maintenance home here that is open and light-filled. 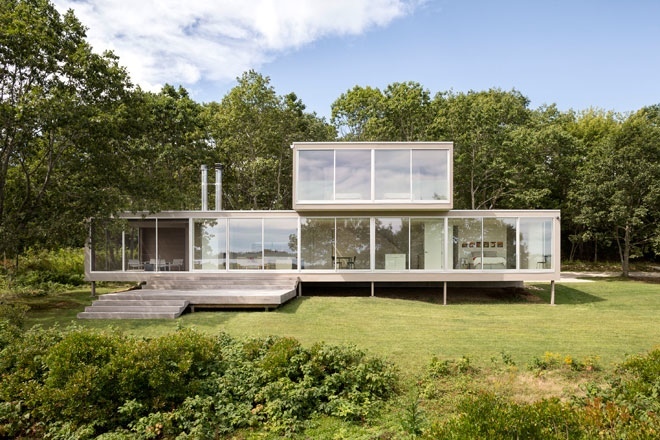 With the ocean vista to the north, balancing light and view was a challenge, according to architect Corey Papadopoli, and the sectional qualities of the building developed accordingly. 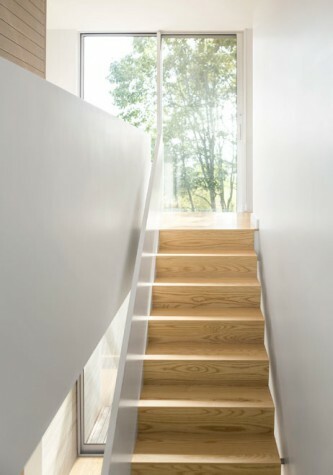 “Additionally, the clients desired low-maintenance materials which directed us towards an industrial palette. 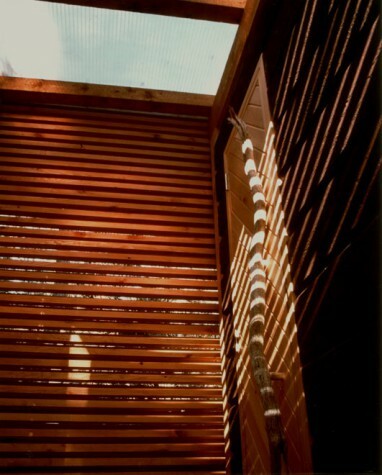 Manipulating these materials to make them both inviting and residential in feel required some creative thinking,” he says.